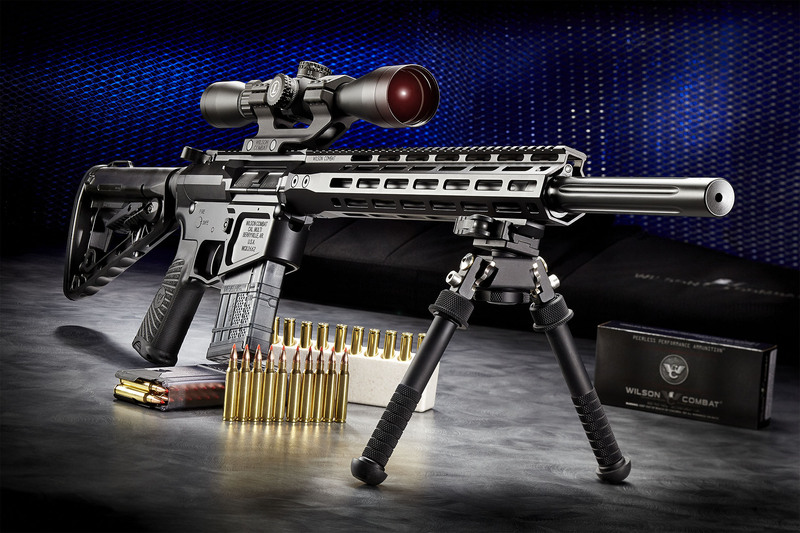 The .223 Wylde is a hybrid .223/5.56 chamber designed by Bill Wylde to yield the accuracy advantages of the match .223 Remington commercial chambering, but without pressure or reliability failures when using high velocity 5.56 NATO spec ammunition. The .223 Wylde achieves better accuracy by having a chamber throat that is tighter than 5.56, but will still function reliably with military 5.56 ammunition because the case dimensions are the same. These facts lead to the .223 Wylde having superior target and varmint accuracy, a compatibility with all .223 and 5.56 NATO ammunitions, and being a top choice for competition shooters.